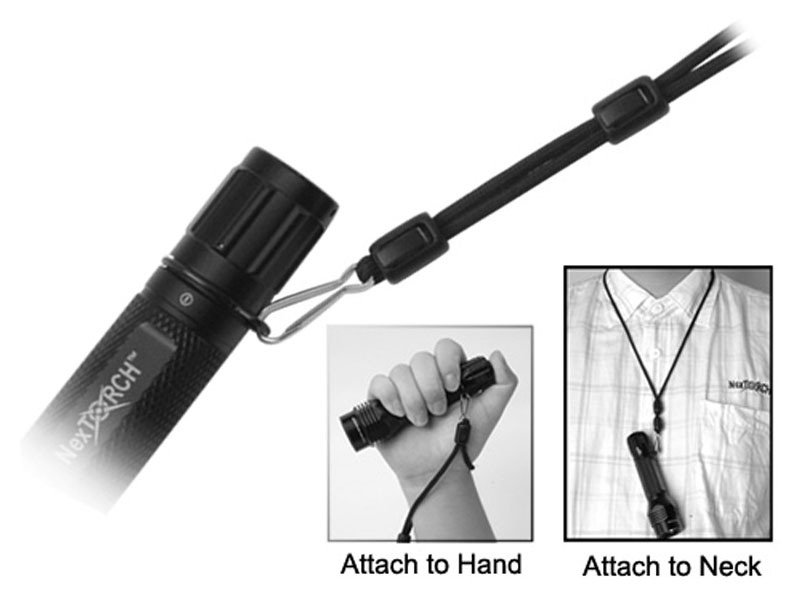 To securely carry items such as Flashlights, Keys, Identification cards, etc. Also available ~ Pistol lanyards. 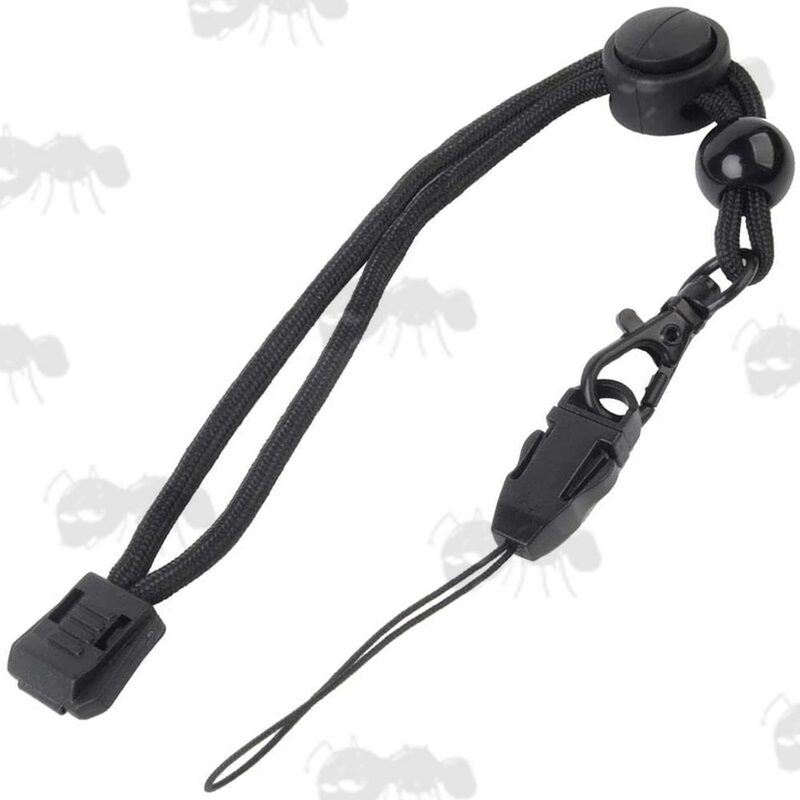 Metal swivel clip fitting with plastic clip. 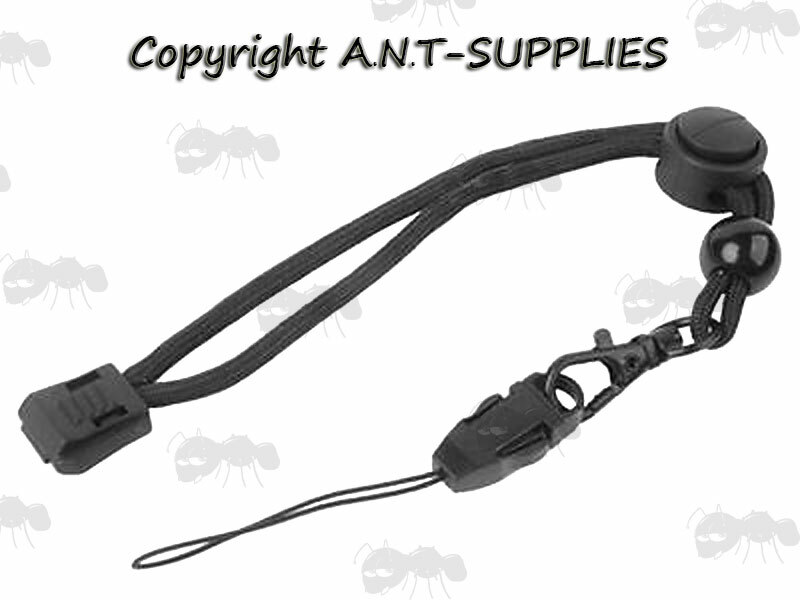 Standard wrist strap push button release sliding adjuster.